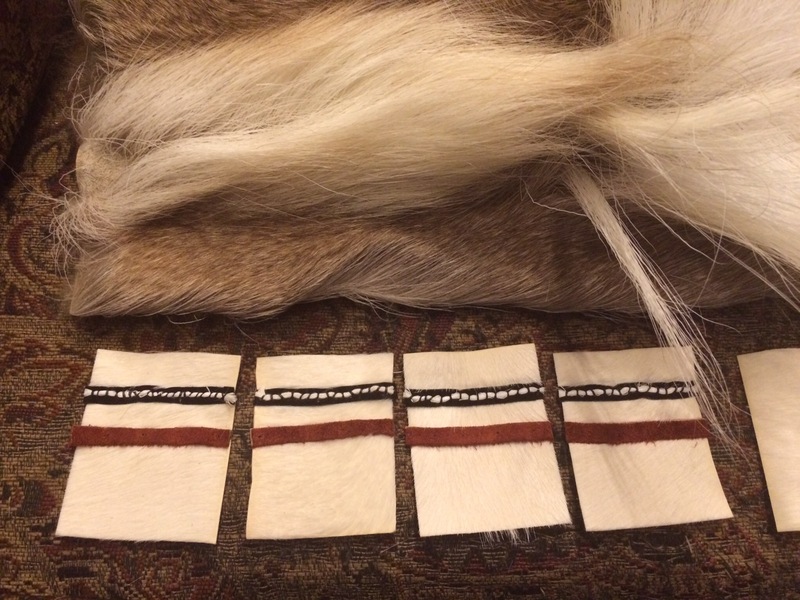 In replace of caribou hide – I am using cowhide for the shield and in replace of caribou hair some use cotton, in a minute you will see what I mean and by the end of this story hope you’re not squinting 😆. I have been challenged to deal with loose hair that has to be white like cotton! I disliked (past) dealing with the loose in all directions fur – hair more like a bad hair day with a deadline. The other day, I seen a row of white folders neatly set with black divider in between each folder and I said out loud, “I like the set up.” Eeee I said it out loud. What? I realized it have been sewing pieces of black and white. 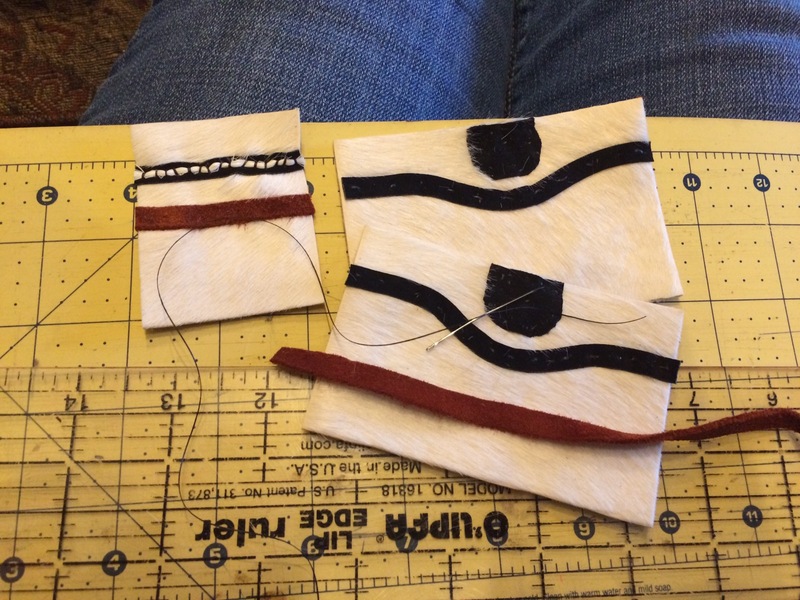 My first line of sewing was like a nightmare, hair sticking up! Fluffy! I thought I should be creative! I doubted myself and asked my friends online and they all agreed that it wasn’t it. I am so glad I get feed back!!! I started all over! 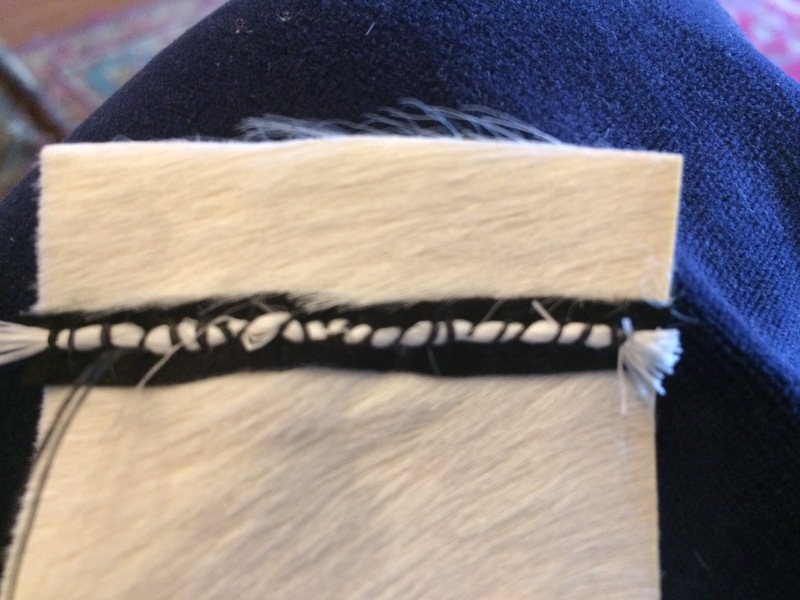 I just got to get through this sloppy stage hand sewing, and My uncle said, ‘sloppy is good.’ My black thread wasn’t cooperating and the caribou hair didn’t care. I thought of wax, need something sticky or tape or just wrap it and sew it, oh lick it! 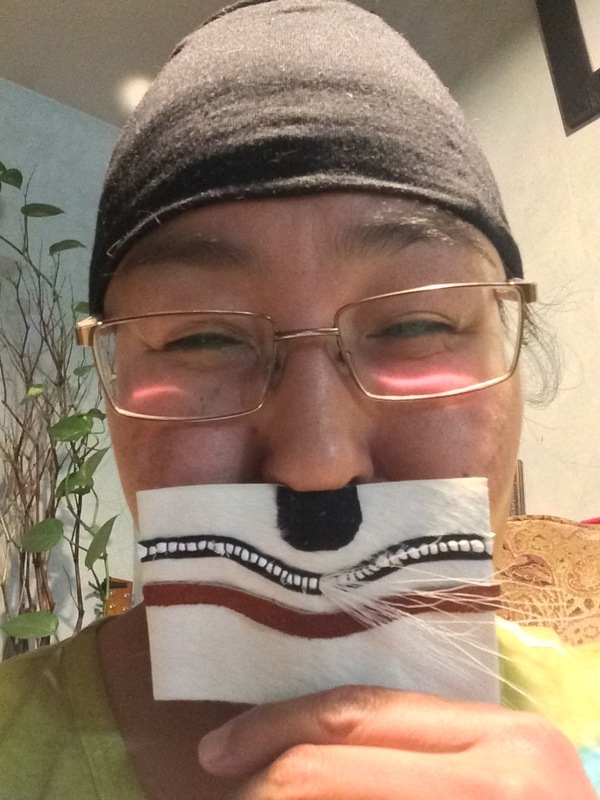 I put the caribou hairs in my mouth and smoothed it out – tasted salty and spat out a few strands – it worked! Just like when your child’s hair on picture day, smooth it out. Ok, I did my first line like it’s supposed to be done, not exactly! It was like a bang cut uneven! My friends said keep trying. My mom said, you’ll get better and you’ll enjoy it soon. A friend said, trial and error makes excellent learning. I have had nothing but positive comments and they all inspire me! I get frustrated and complain like an out of control bad hair day person! 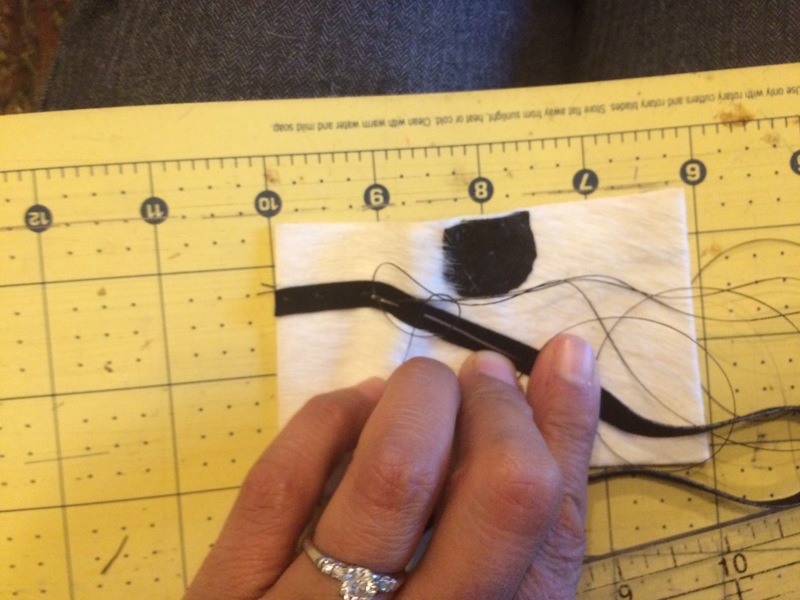 When I contemplate while sewing and writing about my experiences – I thank God that he ordered rest! Resting is important and this summer I had a hard time resting and it is rolling over to fall. Lately, I sit and sew to rest. I want to thank Mr. & Mrs. Hickman owners of Alaska Precision Taxidermy for donating caribou mane for my project. 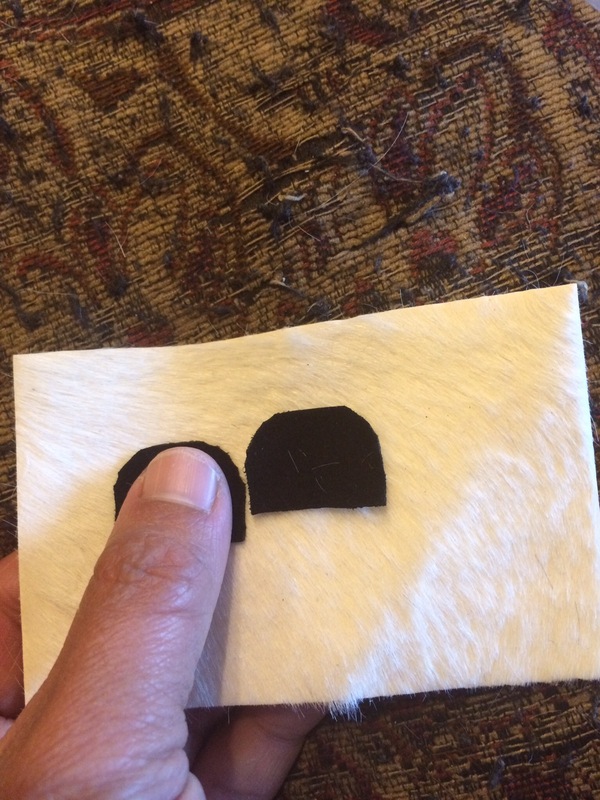 I was surprised with the generousity of shareing, as I was looking all over Fairbanks for caribou hair. Quyana! 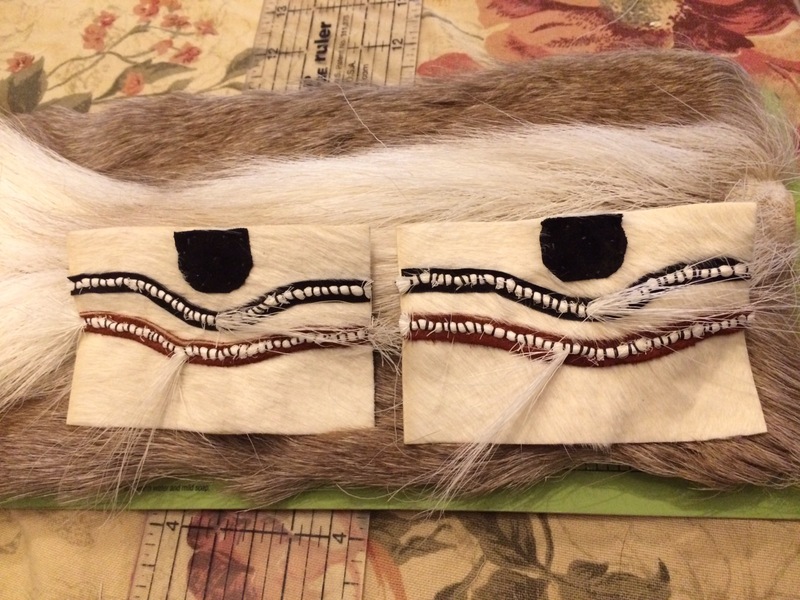 As soon as I received the caribou hair, I went straight to sewing. 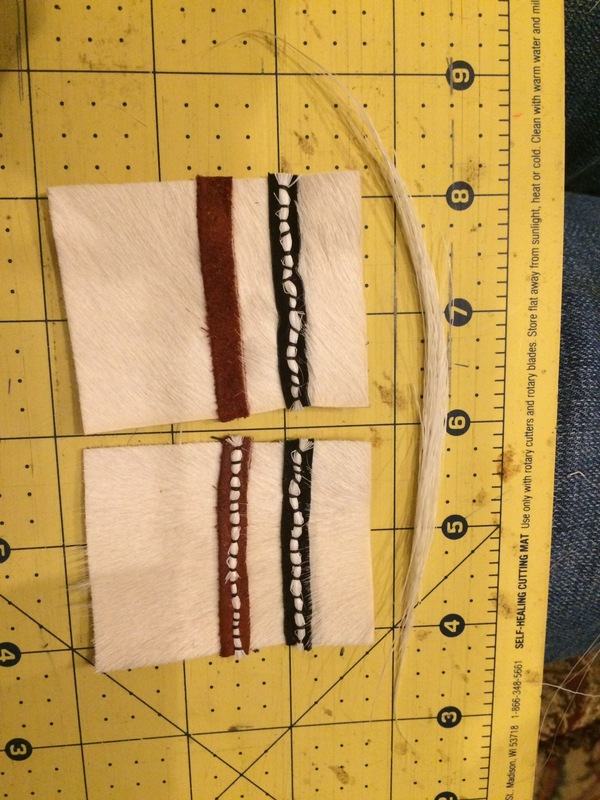 Out of frustration I sewed cotton string on the second try – to my surprise the caribou hair and cotton look so much alike. I am still working on the lines as you will soon see the process and measurements. 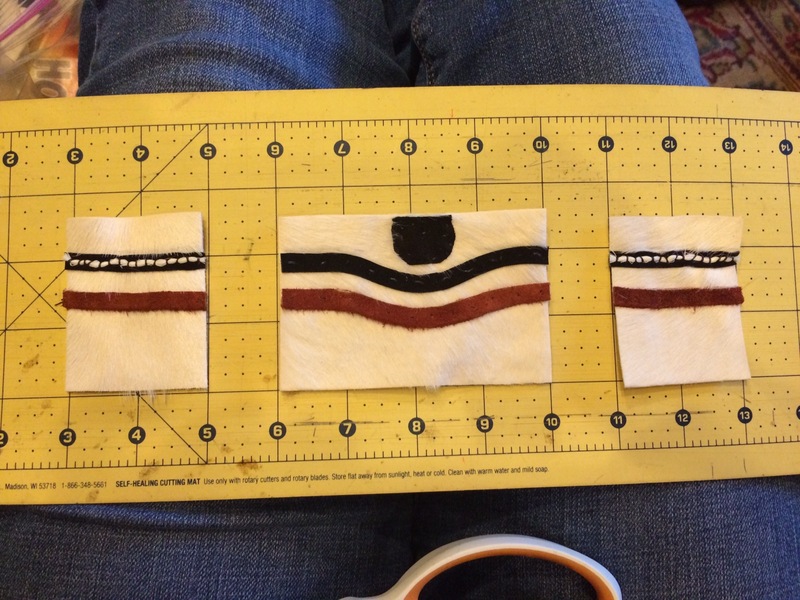 After the squires will be the shield and then the shoulder straps. 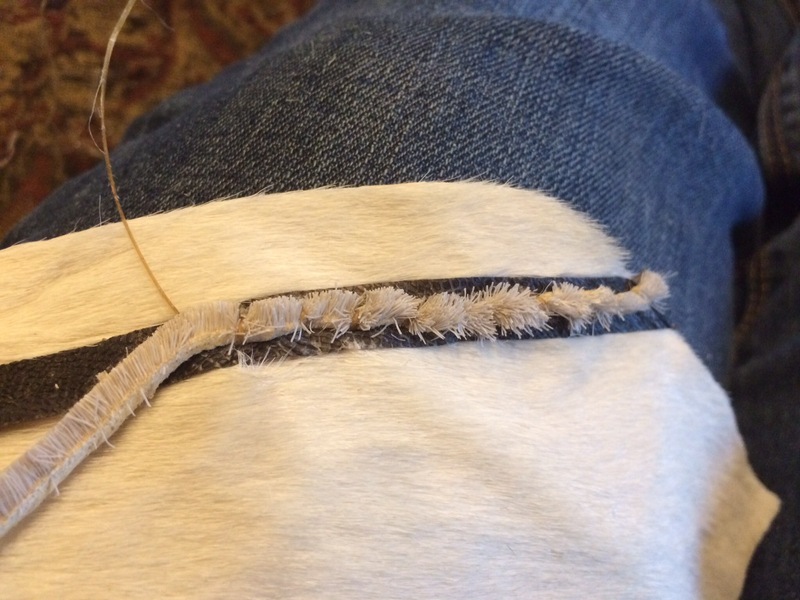 I am calling it straps as it rests on the shoulders to the back and front – almost like suspenders. By the time I am done with this area I should have bifocals to help me see better. Check back again for the shields, straps, otter and wolf parts to the Qaliq. Piurci! Previous Previous post: Learning from experience.